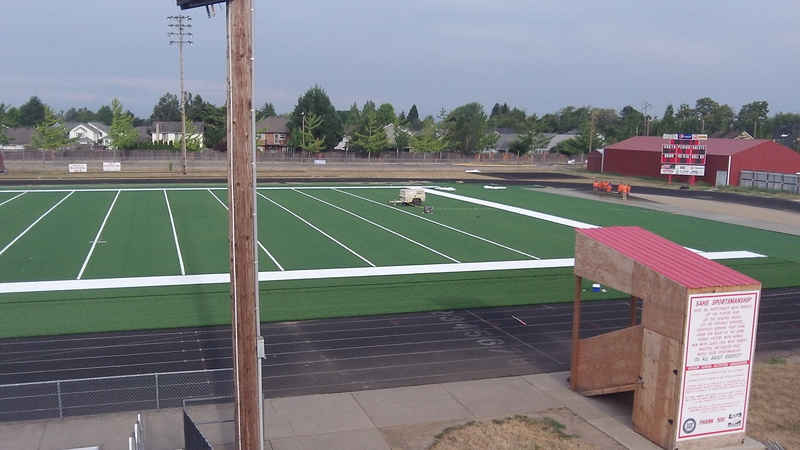 Here’s what the new artificial turf for South Albany’s football field looks like up close. It looks the way it feels: artificial. 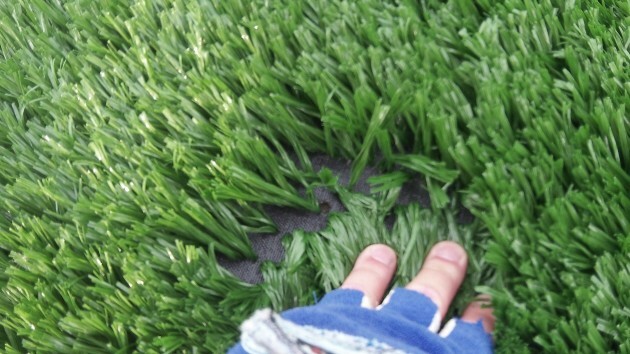 Chances are it will appear more like a natural surface once tons of sand have been spread in between the blades of plastic grass. I took another look at the new rug on South’s football field on Monday night. The grid pattern has been applied. The sidelines look unusually thick, but maybe that’s not the way they’ll appear been when the job is finished in time for the first home game. 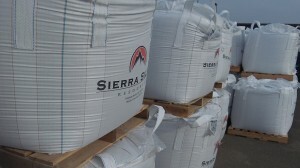 The sand, by the way, was stacked nearby in big bags. The labels say the bags were made in India, but the sand itself is domestic. 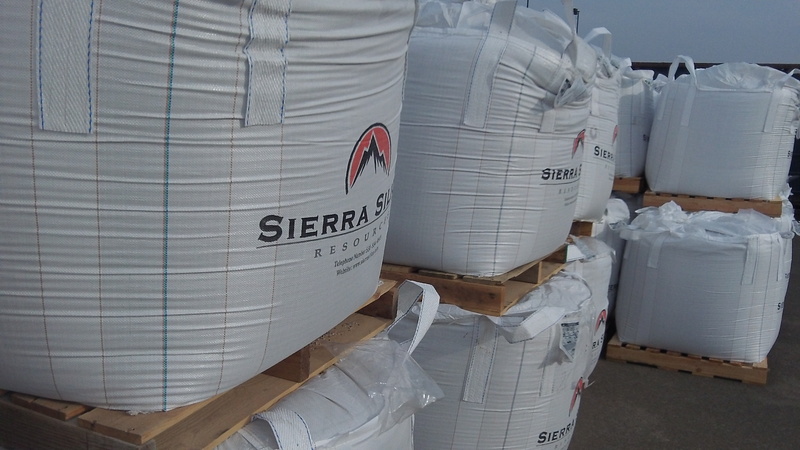 It comes from a company named Sierra Silica in Oroville, Calif., which also supplies material for industrial processes and for golf courses, according to its website. Across town at West Albany, which is moving up to the 6A classification this year, the school has begun thinking about what to do about its playing fields as well. Superintendent Maria Delapoer says people at West are giving some thought to perhaps starting not with the main football field but some practice fields. But the school also would like a bigger auditorium so its many theatrical productions no longer have to be held in the cafeteria. No decision has been made as to which way to go. The Albany school district as a whole, meanwhile, is studying its overall facility needs. That’s in preparation for what’s expected to be a proposal for a major bond issue to be put before the voters, perhaps next year. Among many other items that might be included: A performing arts center to serve both high schools and the wider community. It would have made a lot more sense in my opinion to build one football field that both teams could use. A million dollars for a football field that gets used by so few people seems outrageous to me. That money could have been used in so many other ways to help kids in the Albany district. What’s next? A “dome” to play in? Certainly not like the football field my local high school had. The first thing before practice,, everybody lined up across the field and then walked the length of it picking up rocks.